Innocent yet thoughtful, this question sparked a dynamic conversation about the joy and play of childhood vs. the responsibilities and the freedoms of adulthood. My 4 year old exclaimed that she would MUCH rather be little, “Of couwse Momma, it’s so fun! !” Meanwhile my 7 year old mulled over the freedom he would have as an adult… to simply be able to drive to his friends house instead of relying on the adults to plan for him. At the same time, the thought of having a job sounded pretty awful, so he settled on being a teenager. In his view it combined the freedom of adulthood without the responsibility. This got me thinking. I remembered my own perspective of adults when I was a little girl. They seemed unreachable, “other”, so very separate from my young, shy self. Adults were BOR-ing, they loved dull topics like politics, business or finance. They seemed to have lost the ability to be silly, pretend, and be spontaneous. I definitely could relate to my 4 year old daughter, who wants to be a grown-up?! But now here I am, a member of this team of BOR-ing adults and I too, see myself playing less and less. 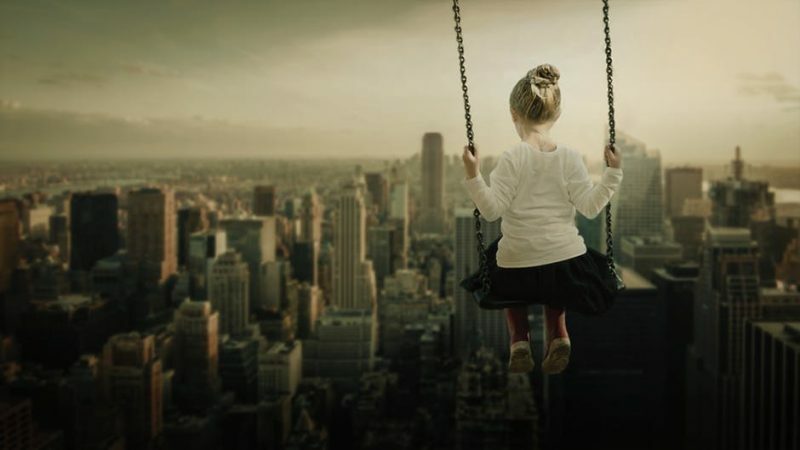 So what is it about adulthood that seems to disconnect us from the carefree, the imaginative and the playfulness of childhood? Yes, we are certainly busy, we are often overwhelmed, our lives are a juggling act. Adults are often serious because there is a certain amount of seriousness necessary to stay on top of it all. But how do we bring the play back in? I turned back to my kids for their take on it. How could adults be more playful? And more importantly, how did they see me? Was I an adult on Team Fun or Team Boring? My son spoke up, and I could no longer hide from the truth. In his eyes I was declared a member of Team Boring. To him play involved toys or being imaginative outside. I pleaded with him “What about singing, dancing, or playing board games? !” He gave me some credit, “Sure Mom you can actually be pretty fun BUT you don’t play, not like we do.” Both kids agreed, in their eyes play was the best when we were on their level doing what they loved to do. How did this happen? How did I get so disconnected? I realized that my play with them was always on my terms and in the ways I was comfortable, like dancing, singing and playing more structured types of games. And it was clear that they wanted more. So I committed to playing with them more, and on their terms. But thinking about all that play made the responsible side of me a little nervous. Each day feels like a juggling act and often I am barely able to keep all the balls in the air. I had to admit my fear: What if playing more often made me slip up and drop the ball? Well maybe I can begin by looking at play in a different way. Perhaps play can act as a sort of mindfulness, a moment of meditation in our busy lives. Giving our minds a brief pause from our hectic pace to focus on one thing, the simple act of playing. Mindfulness teaches us that when we allow ourselves the time to pause, we are more readily able to focus and give our full and complete attention when the time comes. We are simply more present. Perhaps, in this way, play can actually help us be more productive. After getting on the floor and diving deep into their games I discovered that this was true. When I set my busy thoughts and my phone aside I could focus solely on the play which is truly in the moment of now. After even a few minutes I was relaxed and I felt my brain slip into a calm, meditative state. Not only was play fantastic for the balance in my life, but it helped me connect deeply with with my kids. It was a way to bridge the gap between us and be entirely in their world. I realized that they even looked at me differently, because I was speaking their language, the language of play. I looked back to when I began this whole process of exploring play and I felt a little foolish. I had been patting myself on the back. “Hey, I’m a playful person! I do playful things! I PLAY!! !” But there were important aspects of play that I was missing out on. The play that put my mind in a state of meditative ease. And the play that connected me so deeply to the sweet minds of my own children. The play that bridged a gap that I would’ve never even known was there.